Four men have been given suspended jail sentences after being caught selling illegal cigarettes at a Bolton market. HM Revenue & Customs (HMRC) investigators saw the men, all from Bolton, as they sold cigarettes out of laundry bags and suitcases at Lever Street Market. It is estimated that the gang avoiding paying £98,000 in tax by trading illegally at the market. Low cost tobacco products can often seem like an attractive offer to local people, especially when cash is scarce. However, this seemingly harmless activity hides a host of more serious criminal activities that result in harm to local communities. Some sellers don’t care who they take as customers and many have been caught selling to children. 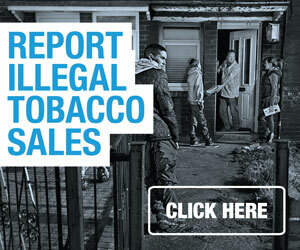 Illicit tobacco takings are also used to fund more serious organised crime, terrorism and drug trafficking. Illegal cigarettes can be packs that are legal in their country of origin, but which have been smuggled in illegal quantities. 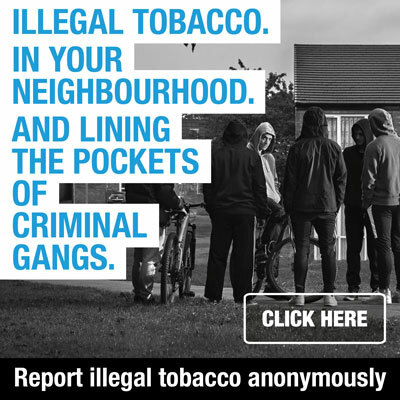 They can also be low quality, unrecognisable brands manufactured just for the illegal market or low quality cigarettes in fake packaging made to look like recognisable brands. Either way, all are illegal and trading in them can lead to prosecution. HMRC officers were assisted by Greater Manchester Police and Bolton Trading Standards enforcement officers.